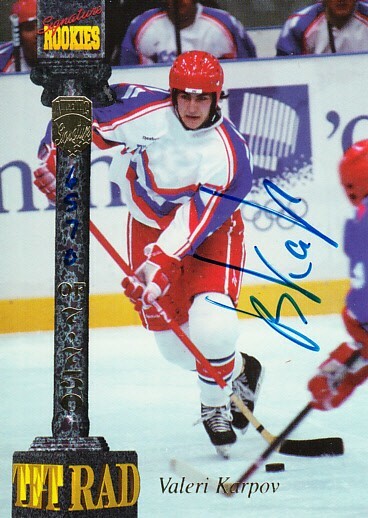 1994 Signature Rookies Tetrad certified autograph card of the late Russian hockey winger Valeri Karpov (died 2014), a key member of the Russian National Team during the 1990s. Numbered #6570/7750. ONLY ONE AVAILABLE FOR SALE.